The department is managed by highly qualified and skilled team of senior consultants who are available round the clock on rotation basis to ensure highest standards of care. We have reputed Pediatric surgeons available round the clock. In addition, we have a Lactation counsellor so that mothers can breast feed the babies adequately. Services of occupational and physio therapists, who are specially trained in neonatal care are also available. The unit is also staffed with well trained, skilled and experienced nurses who form the backbone of our services. Our physicians, nurses and allied medical care professionals who work in NICU have extensive knowledge, skills, expertise, so that the neonates can achieve the best outcomes possible from critical illness. The use of advanced technologies provide support for speedy recovery. We deal with all conditions pertaining to a newborn. We have in house renowned Geneticist and pediatric endocrinologist who takes care of all genetic and endocrine disorders. 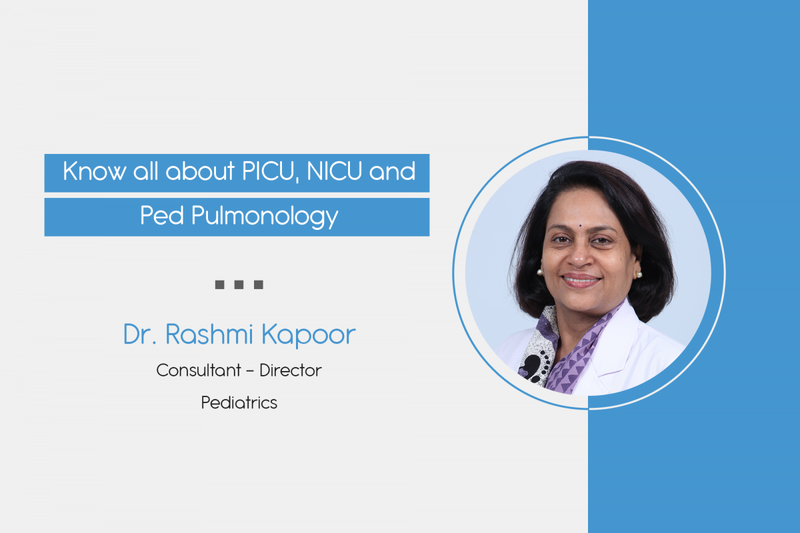 The Pediatric Intensive Care Unit at Regency Hospital has one of the best-equipped and staffed units in Uttar Pradesh run by an expert team of doctors who are available 24 x 7 on a rotation basis to care for sick pediatric patients. The department is managed by highly qualified and skilled team of senior consultants who are available round the clock on rotation basis to ensure that highest standards of care are given. The team members who will help care for your child includes, pediatric intensivists, pediatric neurologist, nephrologist, hematologist, oncologist, gastroenterologist, hepatologist, neurosurgeon, pediatric surgeon etc. In addition, we have dieticians, occupational and physical therapists, speech therapists, who are specially trained in pediatric care. The unit is also staffed with well trained, skilled and experienced nurses. They form the backbone of our services. Our Infection Control team is actively involved in continuous training for health care providers in infection control practices. Advanced isolation facilities to cater to children with contagious diseases, severe burns & immunosuppression. Patients recovering from major neurosurgery, orthopedic surgery, ear nose and throat surgery also receive their postoperative care in PICU. Our PICU is recognized for providing expert care for kids, 24/7. Is your child having cough for a long time? Is your child’s cough not improving on routine treatment? Is your child having bouts of cough for a long time? Is your child sick for a long time? If your child is under three years and all or few of the above define the symptoms in your child then it could be a FOREIGN BODY ASPIRATION!!! Your child needs flexible bronchoscopy! Few points for preventing foreign body aspiration by your toddler! Some small objects, such as peanuts, crayons, marbles, beads and button batteries, are just the right size to get stuck in a child’s airway and cause choking. Never leave small items and food particles, especially nuts on floor … remember your child will explore the environment with his mouth! If you have seen your child choked in front of you this is what you need to do…. Give up to 5 sharp back blows with the heel of 1 hand in the middle of the back between the shoulder blades. If this isn’t possible, support your child in a forward-leaning position and give 5 back blows from behind. If back blows don’t relieve the choking and your baby or child is still conscious, give chest thrusts to infants under 1 year or abdominal thrusts to children over 1 year. This will create an artificial cough, increasing pressure in the chest and helping to dislodge the object. Find the breastbone and place 2 fingers in the middle. Give 5 sharp chest thrusts (pushes), compressing the chest by about a third. If the object still isn’t dislodged and your child’s still conscious, continue the sequence of back blows and either chest or abdominal thrusts. Don’t leave the child alone … Rush to the nearest hospital…! nextDiet and lifestyle measures that can reduce your risk of cancer.